It was her drunk cackling that did it. What the hell was going on? Without turning on the light, I looked at my phone (three in the morning!) and bumped my way in the dark to the open window. This was my first night in Spain and my view to the street below was obscured, but I knew the deafening roar came from people seeking the promised land of Madrid's nightlife. 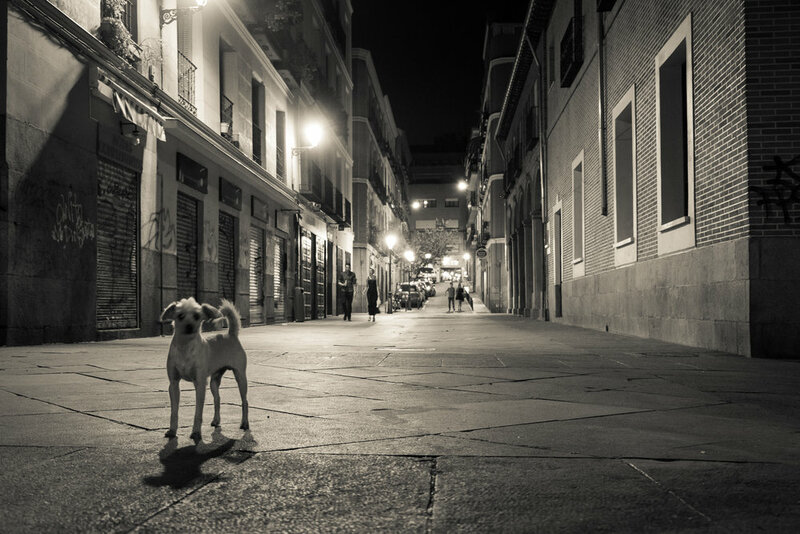 That was a Friday night in June, although I quickly learned that the day of the week or time of the year didn't matter: Malasaña was always crawling with noisy fiesta-goers. Unbeknownst to me, I had rented an apartment above the bar La Vía Láctea, one of the barrio's biggest attractions and a legend in itself. 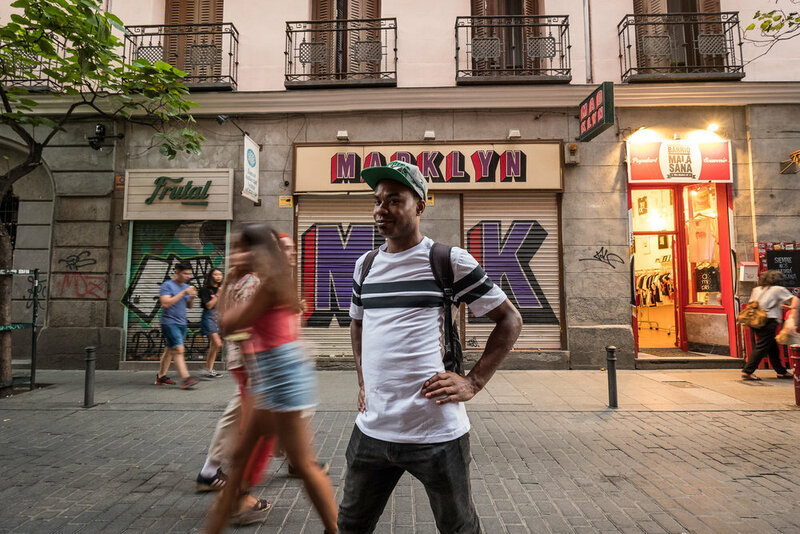 But exchanging a few (okay, many) nights of quality sleep for an apartment in the center of Madrid's hottest neighborhood was an okay trade off for me. 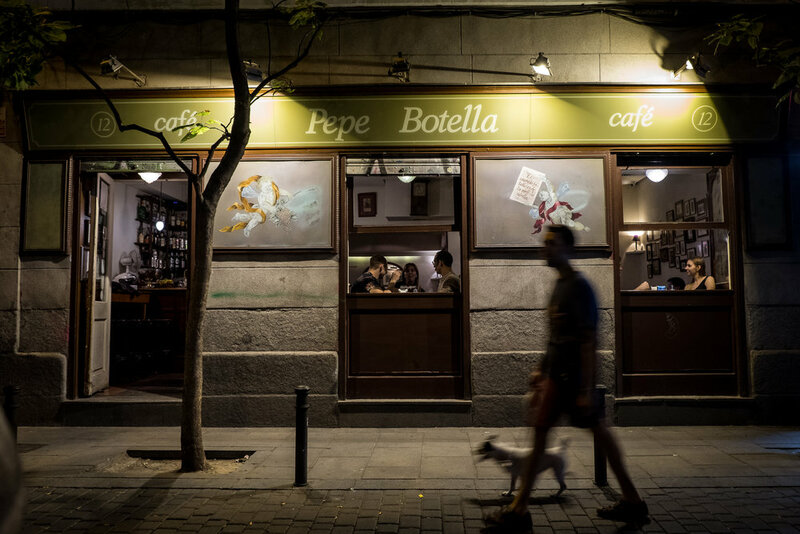 But before I get into deeper stuff, like Malasaña's crucial role in la movida Madrileña, let's first talk about the neighborhood itself. 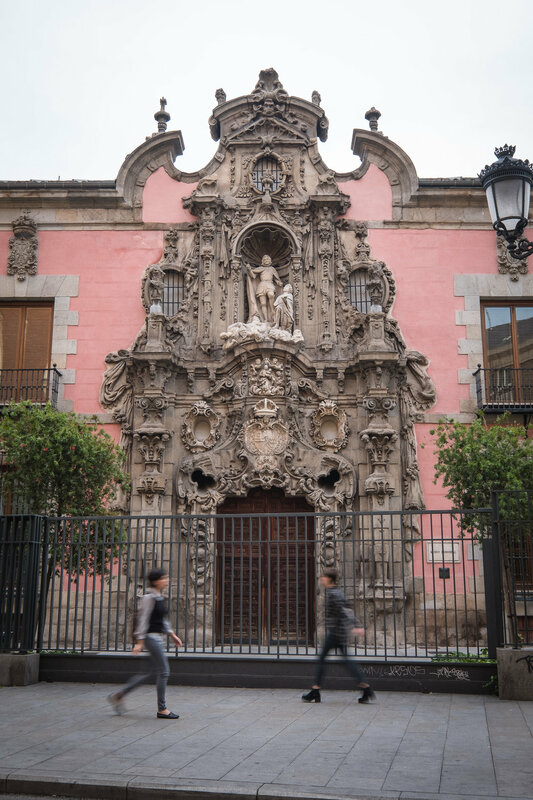 Malasaña is formally known as Universidad or Maravillas and is centrally-located just north of the touristy center and west of posh Salamanca. The stone buildings are beautiful and old and welcoming with plant-filled balconies, the streets are cobbled and full of people. 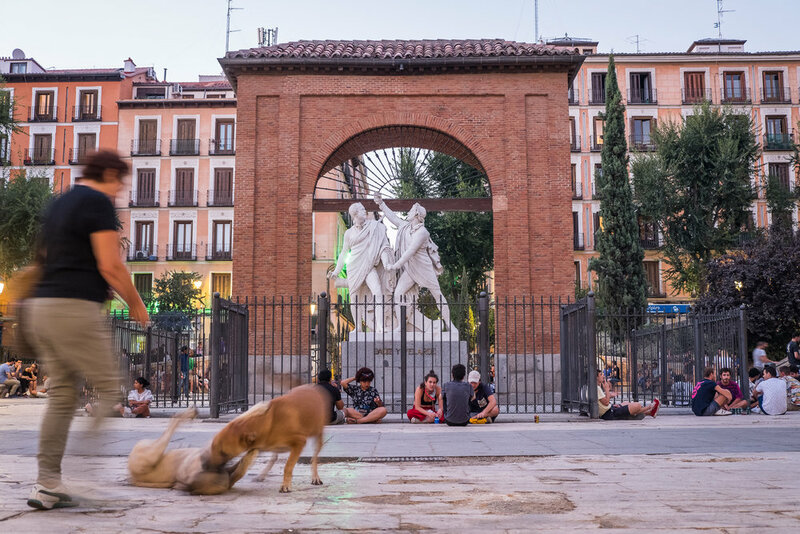 The heart of Malasaña is Plaza Dos de Mayo, an elegant public square built in commemoration of the 1808 rebellion and bordered by outdoor cafes, shops, bars, and playgrounds. 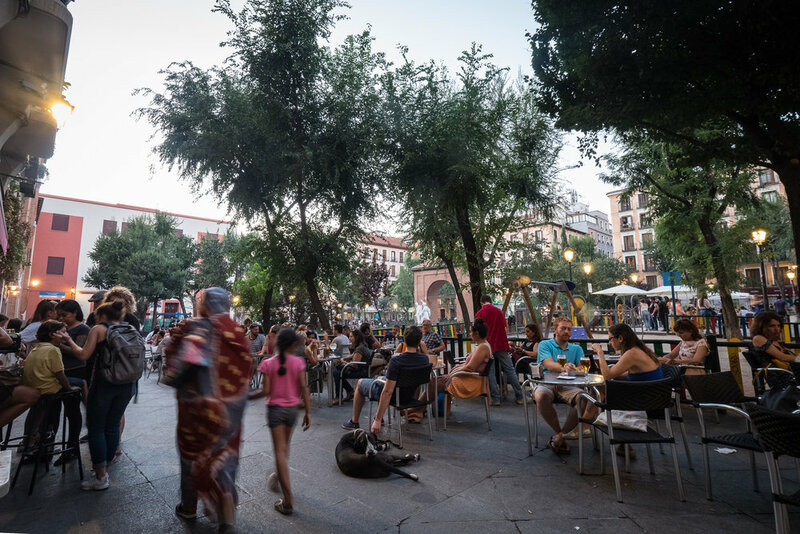 The plaza's relaxed, hip, and slightly rebellious vibe draws people from all over the city and neighborhood, everybody wants their own piece of Malasaña. 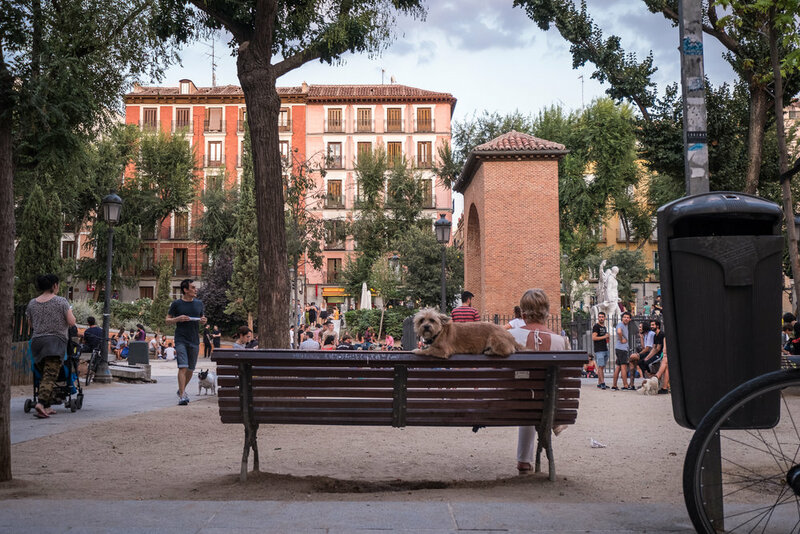 As I mentioned in my other post, Spain isn't the most pet-friendly country to travel to. 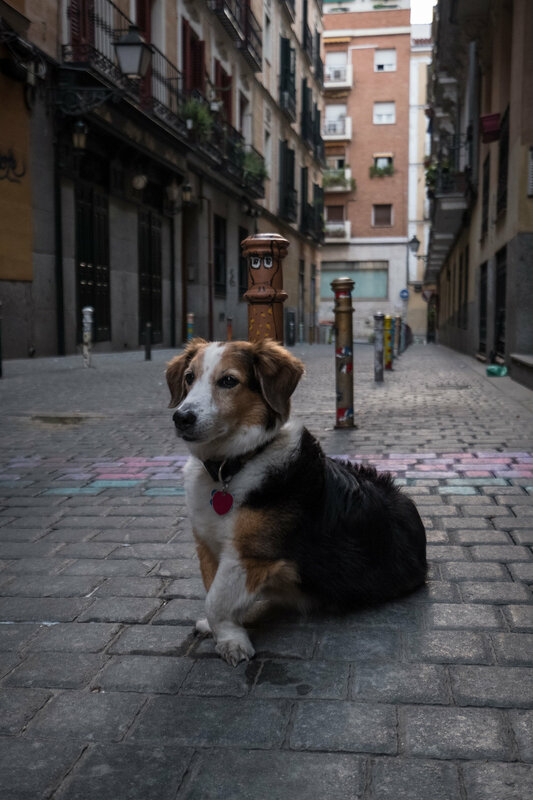 But again, I was perfectly okay trading this minor setback for the opportunity to experience being a pet-owner in Malasaña. A significant part of the plaza is a dog park (it's not fenced in, though, so everyone is welcome) and every day Mango and I would go and sit on a shaded bench to people/dog watch. Over time, I recognized the neighborhod dogs and their equally memorable owners: barrio staples Renata and Lucía, the bizarrely-coiffed shih tzu and the elderly lady with blue hair, a massive, drooling Neapolitan Mastiff with the young woman always on her phone. 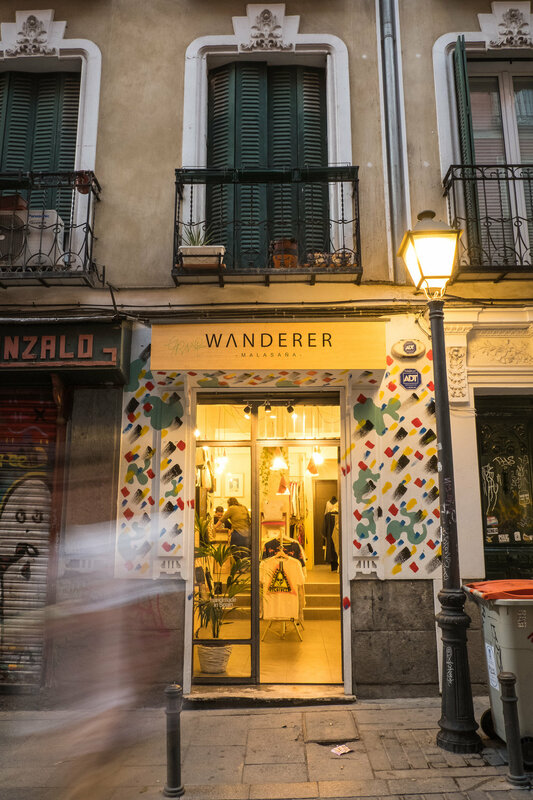 Malasaña served as the hub of the movida, attracting new artists like filmmaker Pedro Almodóvar and punk bands from all over the world. With so many creatives, bars like La Vía Láctea, Tupperware, Penta ('La Chica de Ayer'), and Pepe Botella thrived in this era. 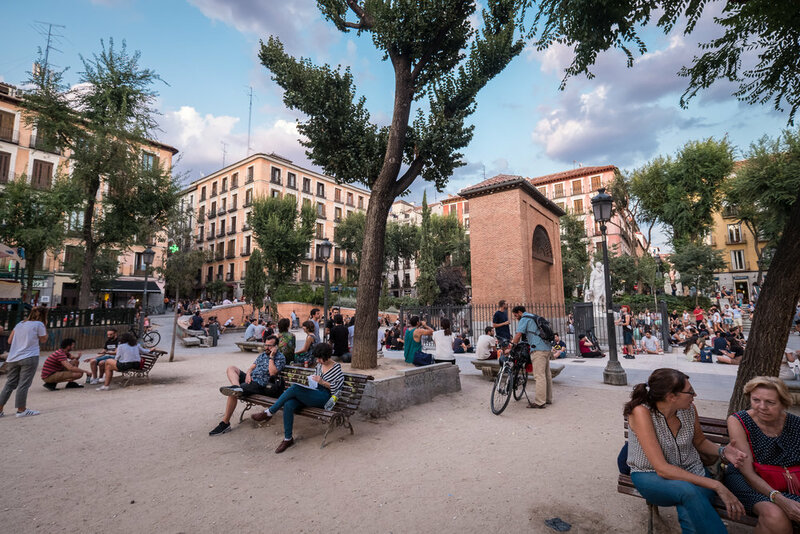 Malasaña gets its nickname from the 17-year-old girl Manuela Malasaña who was executed by the French after the 1808 uprising. With this piece of history in mind, I assume the neighborhood buildings date back to the 1700s and most apartments are from the mid-1800s. 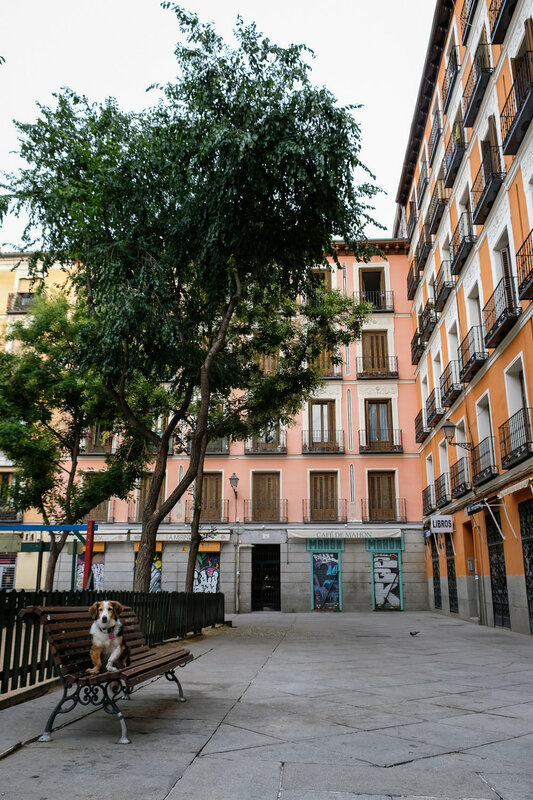 Malasaña's architecture is typical for Spain with its simple stone facades, generous balconies, and muted earthy tones. I love how historically-intact the neighborhood is, and I found the narrow tree-lined streets and low, uniform buildings to be very welcoming. 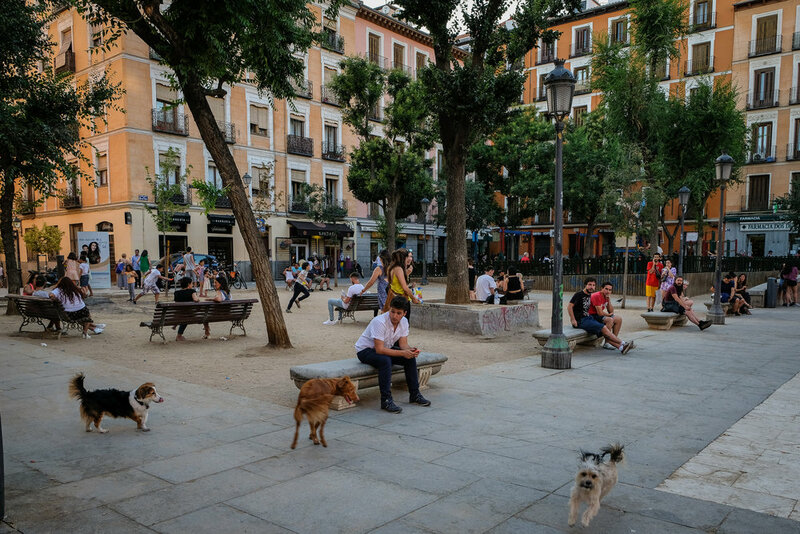 While Malasaña isn't a car-free zone, there is little vehicular traffic and the city has recently eliminated sections of on-street parking, which has enabled the neighborhood to thrive even more. 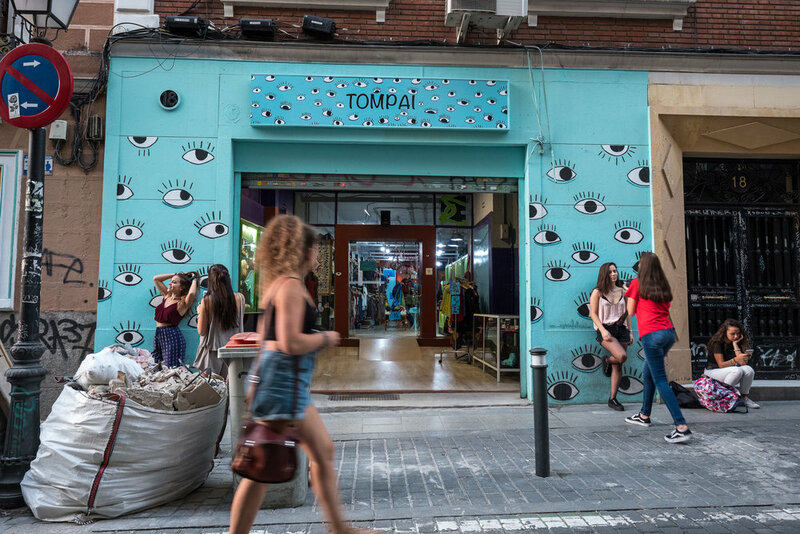 Like Isaac Newton famously said, what goes up must come down, and the upside of Malasaña's popularity comes with a downside. 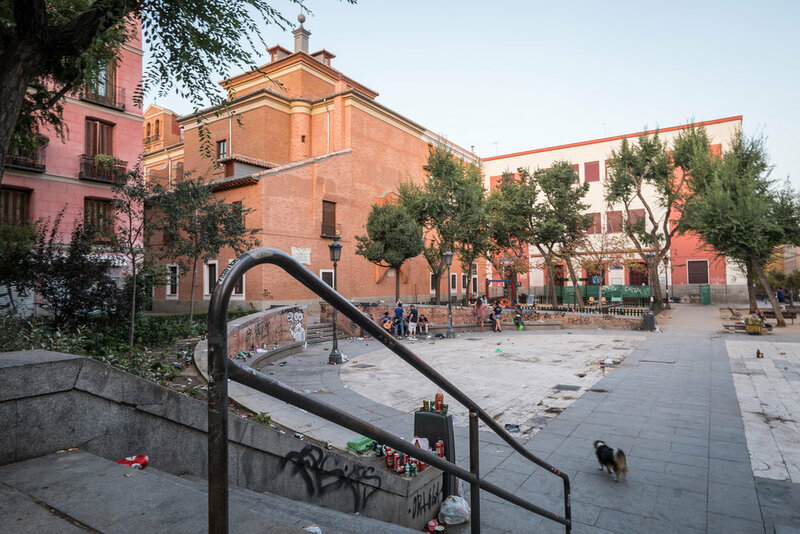 The neighborhood is almost in constant party mode, more so in recent years, and party-hungry botellons fill streets and public spaces as early as the afternoon and as late as the morning. They leave behind mountains of beer cans, discarded chip bags, the stench of urine, and the occasional vomit. Yet city employees arrive faithfully every morning at 7:00 AM to carry out the Sisyphean task of cleaning up their mess. 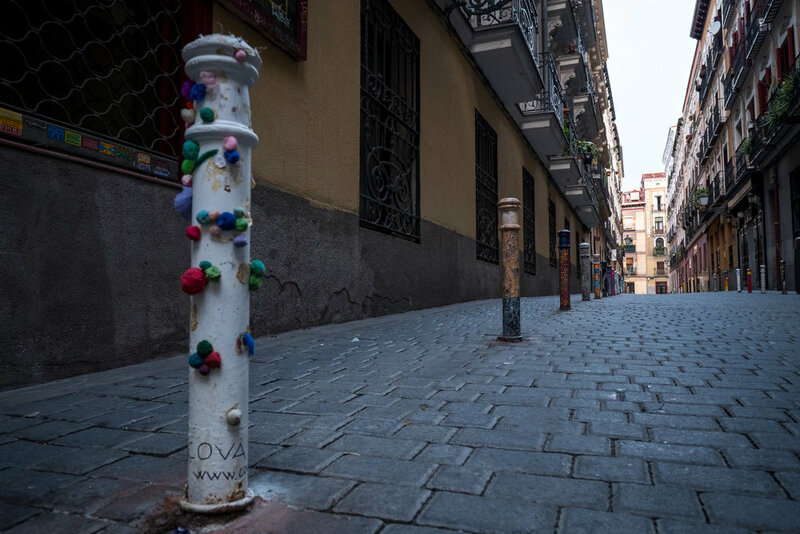 On the one hand, I say kudos to the city government for keeping Malasaña beautiful and clean, and on the other hand, I question if this is the best way to deal with the issue. Either way, there is no straight and easy solution to balancing the neighborhood's party atmosphere without sacrificing its character.